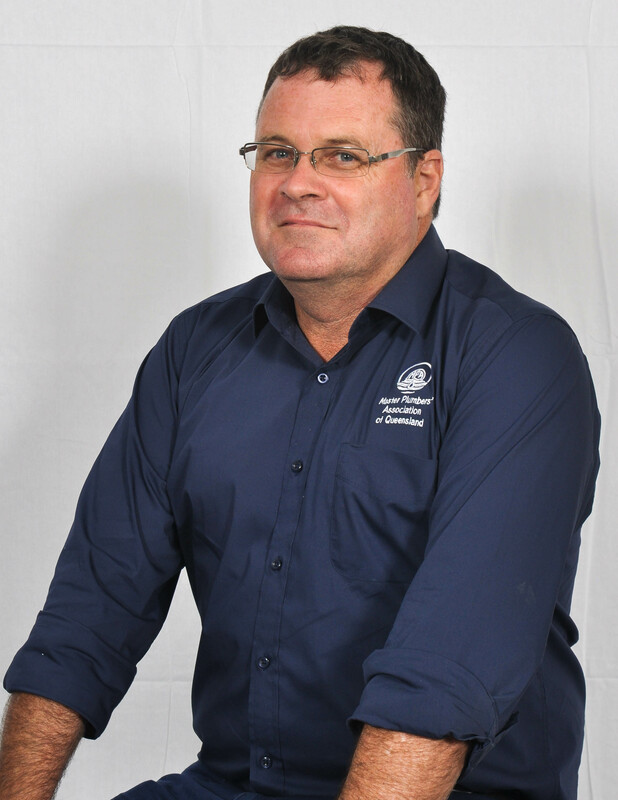 A bit about me: My involvement in the Queensland plumbing and gas fitting industry spans back over 30 years to my apprenticeship at Algas Energy. 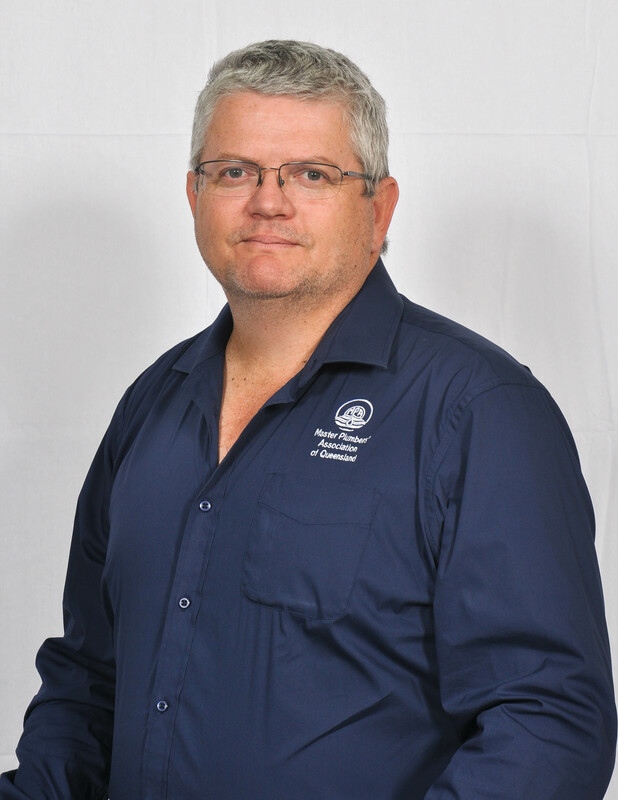 Today I own and operate Queensland Industrial Gasfitting Services and predominantly deliver Type B installations, service and advice to others in the industry. Why am I on the MPAQ Board? I was elected as a board member of MPAQ in 2011 to represent the gas in Queensland for the association. During that time I have been fortunate enough to hold the position of Vice President and in November 2017 I was elected to lead the association as the President. It was a most humbling experience to think that my piers held my contributions in such high esteem. Why is it important for all plumbers and gasfitters to be members of MPAQ? MPAQ is a professional association made up of a wide variety of industry experts. The reputation earned through diligent and robust conversations with the local, state and federal governments gives us the ability to voice our members concerns on any issues that arise. The board of the MPAQ consists of an almost bottomless pit of well informed and knowledgeable business owners that operate in every facet of the trade throughout Queensland. This gives us the ability to hear firsthand what concerns the members are facing. The board is supported by an amazing team in the office who address our members requirements on a daily basis. This level of representation and support for all our members is the reason I believe every plumber and gasfitter in Queensland should be a member of MPAQ. Trading as DG and LM Nunn Plumbers and Drainers we commenced business in December 1988 after moving to Toowoomba from Central Queensland with our 5 children. We joined Master Plumbers in April 1991 so as to take advantage of the many services offered so as to assist us with the structure of our business. We found the Toowoomba Division members welcomed us into the group and we have enjoyed many years of fellowship within the division which eventually allowed us to join in with the state association and attend conferences and make many more friends throughout the state. Being involved with the division and attending meetings eventually lead to my election to the board of MPAQ in 2011 where I have been privileged to work with other councillors and staff of the Master Plumbers group. I am a third generation plumber, with a strong connection to our trade with six family members being plumbers. I have been a member of our Association since 8 February 2006 and am based at Rocklea. Reliable Plumbing Gas and Solar works across all facets of the plumbing, drainage and gas fitting in maintenance and the construction industry. 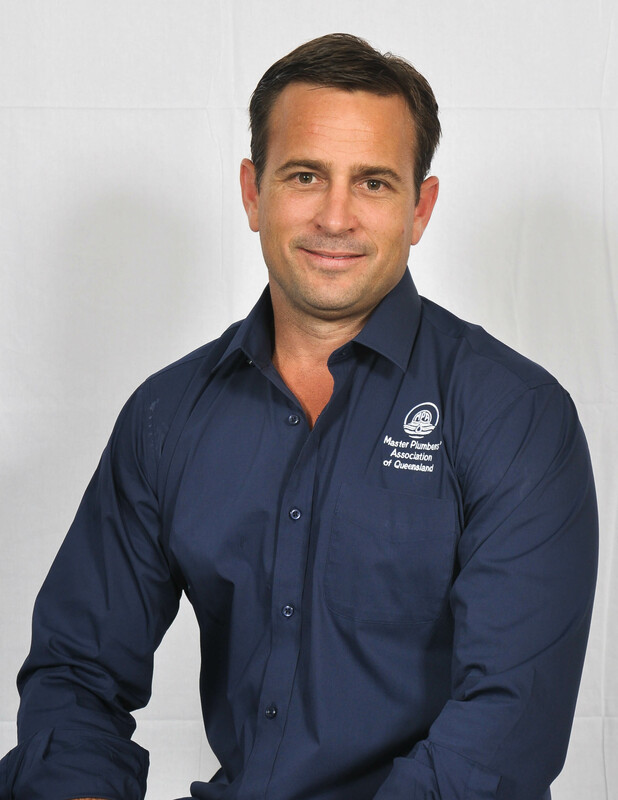 I have worked in the plumbing industry for over 40 years and run my own business, Slade Brothers Plumbing. We specialise in commercial and domestic maintenance, gas fitting, hot water unit repair/ installation, installation and maintenance of backflow prevention devices/ thermostatic mixing valves, legionella treatment and much more. I have a wonderful wife, Mandy and two now adult sons. I’ve been a member of MPAQ for over 20 years and have previously been a committee member in the Redcliffe Division. I believe the role and involvement of MPAQ as the voice of our industry and providing support for members is more important than ever given the changes being forced upon us at federal and state levels. My aim is to build upon the good work being done to ensure our concerns and needs are heard and respected throughout industry and all levels of government. A bit about me: I run Salmon Plumbing with a team of 12 people. The business was established in 1991 and I am in the lucky situation to be still enjoying my role and learning every day. I enjoy being on the board of MPAQ and see it as an opportunity to improve the industry which is so important to the community. Why am I on the MPAQ Board? It gives me the opportunity to improve things I believe need changing in our industry and communicate the needs of medium size plumbing business to policy makers. Why is it important for all plumbers and gasfitters to be members of MPAQ? First of all, without a strong voice advocating for plumbers for over 100 years we would not have such a strong regulatory framework protecting our trade. Add on member benefits, training, events and the help and support you get from the association and I believe it is the best way for any plumbing business owner to engage with and improve their industry. Bill Watson, Connectors "The Plumbing People"
I have been a plumber, drainer and gasfitter for 42 years, serving my apprenticeship with Watson Plumbing (Dave Watson, no relation) from 1967 – 1971. 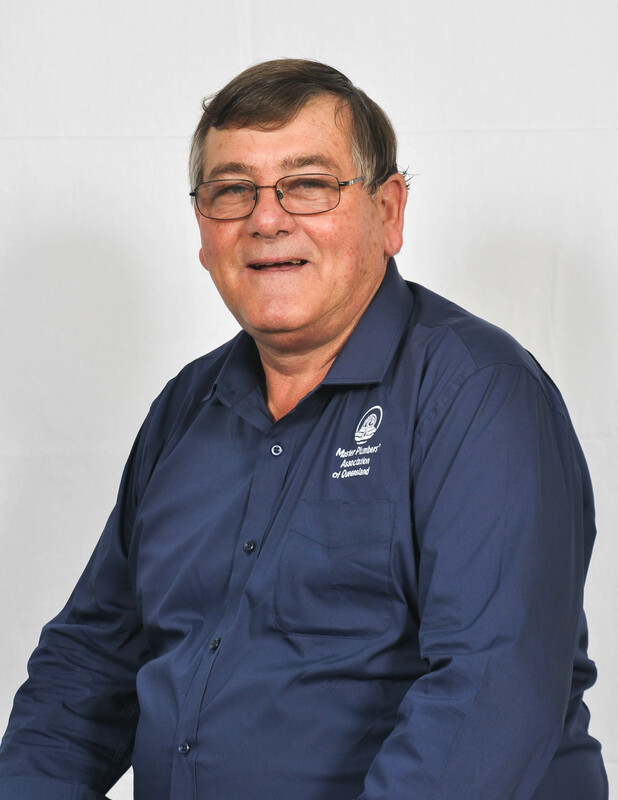 I commenced my plumbing business Connectors “The Plumbing People” Pty Ltd in 1973. My business carries out work for industrial, commercial and domestic premises’ in the Brisbane area, specialising in backflow prevention, solar and heat pumps and TMV. I also have a Certificate IV in Training & Assessment and am a Qualified Contract Trainer for the plumbing industry. I am currently delivering courses for MPAQ. 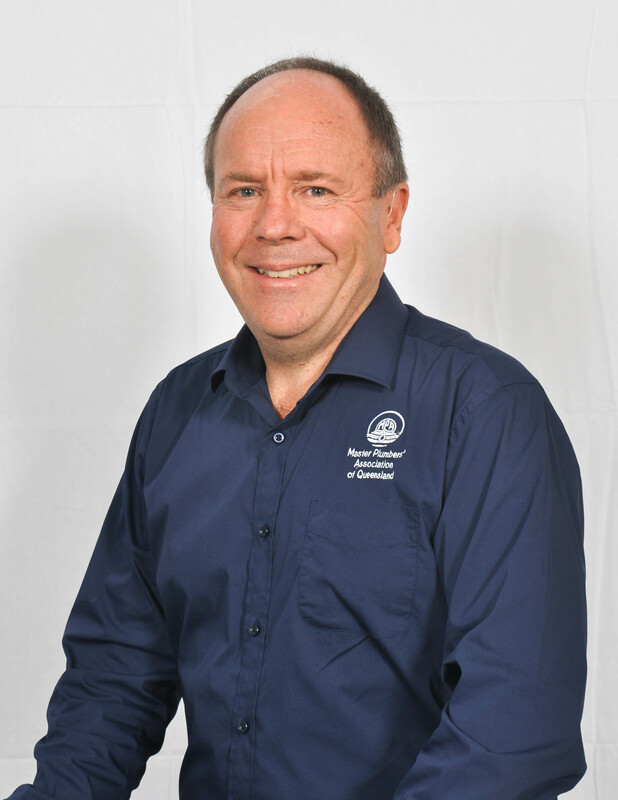 I am the Chairman of the Plumbing Industry Council and a Director of Master Plumbers Australia. I joined MPAQ in 1977 and have been on the Council for 33 years. I was made a Life Member in 1995 and a Trustee in 2011. I’ve been a Rotarian for 19 years and received a Paul Harris Fellow in 1999. I am happily married to my wife Marie and have 3 children and 9 grandchildren (8 girls and 1 boy). A bit about me: I commenced my plumbing apprenticeship in 1971. I then worked at JR Wylie and Sons/AE Smith and Son for a total of 23 years, the last 16 of which I was Townsville Branch Manager for AE Smith, before commencing National Air Qld - Plumbing and Air Conditioning in 1999 until closing the business and retiring in the financial year ending 2013. 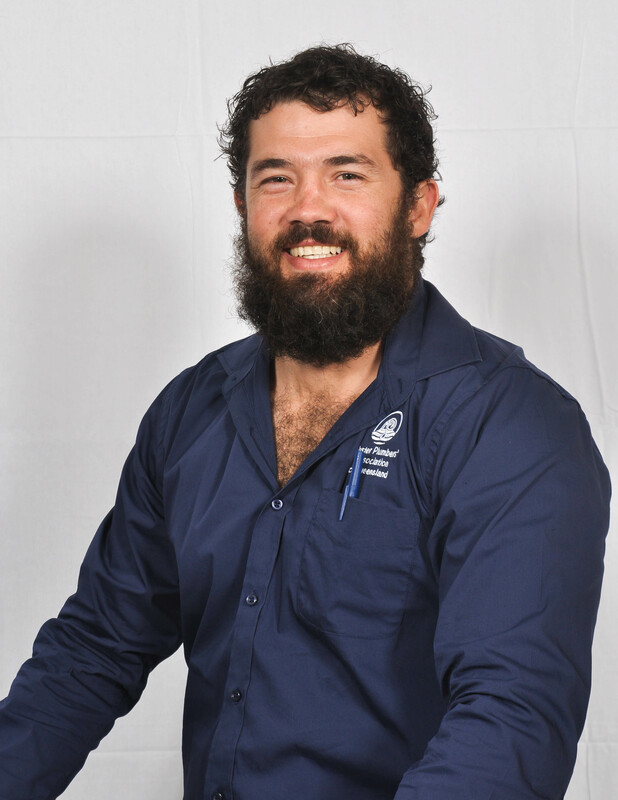 Tyson, who is in electrical, communications and security, specialising in mechanical services with Ellis Air Conditioning and Mechanical in Brisbane. Why am I on the MPAQ Board? 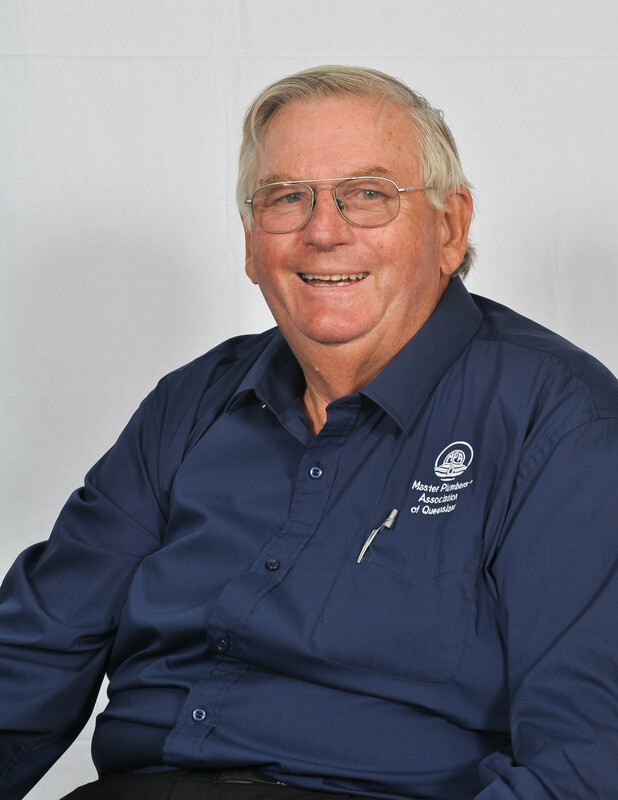 have been active in the Townsville Division as Treasurer, Secretary and Chairman since 1980 and commenced as an MPAQ Councillor in 1994. I was then President from 1996 - 1998, then again from 2002 - 2013. It was a great honour to have life membership bestowed upon me in November 2014. I have always wanted to return something to the industry as it has allowed me to achieve success in my work and personal life. Why is it important for all plumbers and gasfitters to be members of MPAQ? From the age of 14, I knew I wanted to be a plumber. In my apprenticeship (as well as later in my career) I always worked with genuinely great people. I could see the difference through the comradery and connection between Master Plumbers, and how this community of plumbers purposefully supported each other throughout all of Queensland. To me, this support network gave me an opportunity to meet and make friendships all over the state. 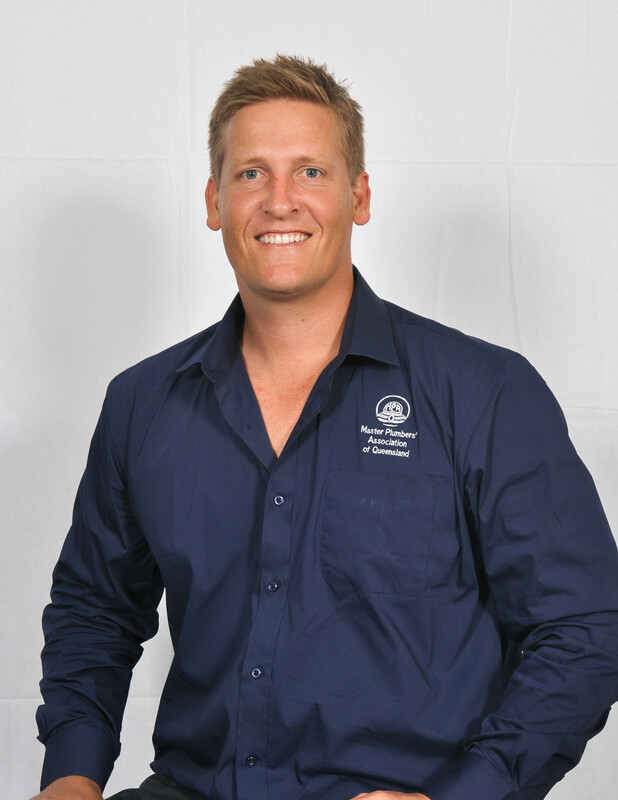 I have been the owner/director of Backflow Plumbing Services Pty Ltd since 1990. I have a beautiful wife, Jen and enjoy getting away camping and getting the most this great country has to offer. 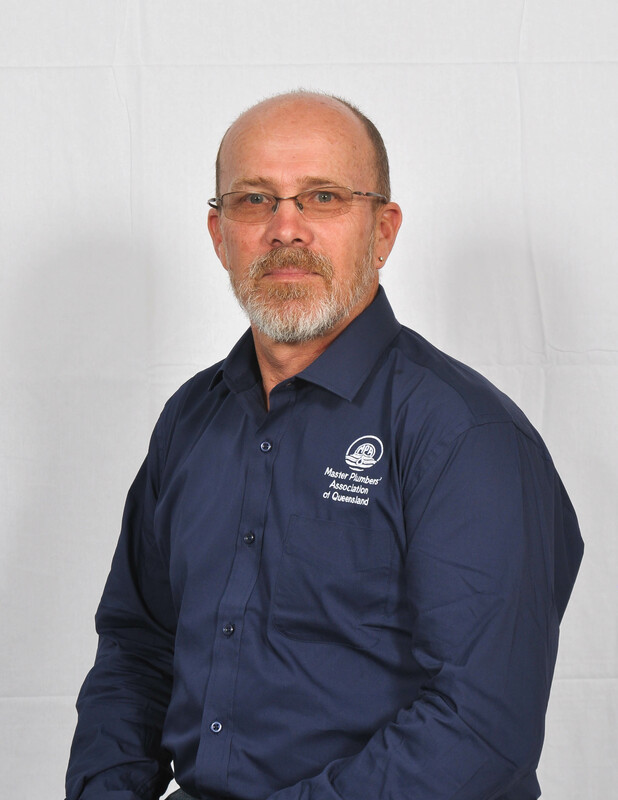 I am passionate about the plumbing industry and backflow prevention, and have a vision of keeping our industry strong, that’s why I became involved with MPAQ. I believe that we have a unique opportunity to network together to assist one another to strive for a better future in this great industry. I followed my older brother into the plumbing industry, commencing my apprenticeship in 2001 in the commercial field. A few years later my younger brother joined us in the trade. I was given an opportunity in the first year out of my trade to site manage a multi-story apartment development in Roslyn Bay Harbour, Yeppoon. Since then I continued in site management, then moved to sole trading, contracting to my brother in the commercial and domestic field in Central QLD, moving onto Brisbane, the Gold Coast, and then a short stint in the Pilbara WA. I then spent three years in the mining resources sector in the Bowen Basin, allowing me to work with my younger brother in a projects team. From there I moved onto site & company management for a commercial plumbing company where I received the 2014 Construction Skills Queensland Business professional of the year, the 2015 Qleave Commercial & Industrial Technical Award in the MPAQ plumbing & Gas Industry Awards for ‘SALT’, Yeppoon’s waterfront apartment project, the same award in 2016 for the AHC Woolworths project in Parkhurst Rockhampton along with the SIMPRO Service Excellence Award. Most recently starting BC Project Industries with my partner Amy. We specialise in D&C projects & cover a range of works from construction, renovations to maintenance. I believe MPAQ plays an essential role in protecting the industry and providing a secure future for the trade for both licensed plumbers and the community we work in. 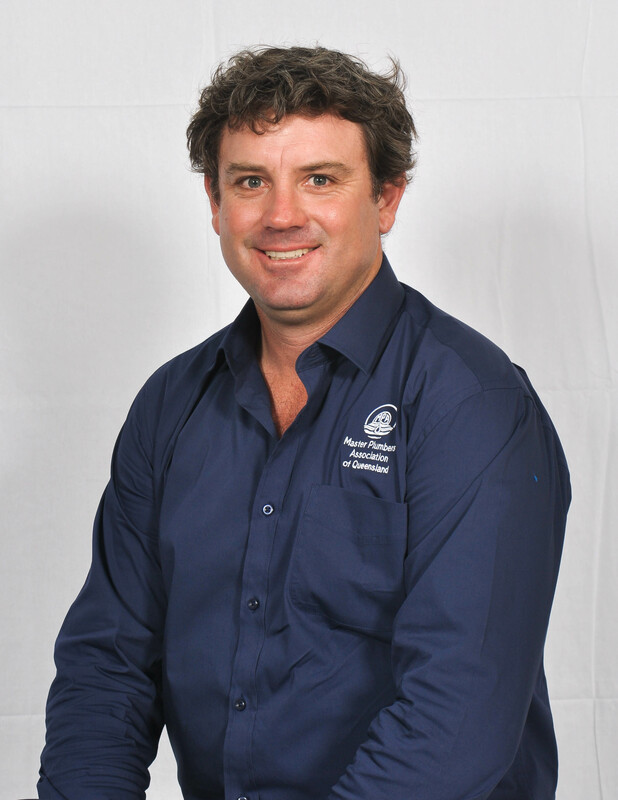 I have been in the plumbing industry since 2004, completing my apprenticeship in Goondiwindi. In late 2008 my wife and I started our business as H&S Gall Plumbing, doing anything and everything in the industry, as you do in bush. As our business grew, so did our inefficiencies, so we then joined the Laser Group in 2013 for their systems, networking and business support. We currently do a broad spectrum of services within the plumbing industry in the Goondiwindi and surrounding areas. I have been married to my wife Stacey for 13 years and have four little kids; two boys, Zeb 8 years, Will 7 years, and twin girls, Andie and Stella at 4 years. I joined MPAQ in 2009 for the peace of mind of having an industry body with all the range of services that MPAQ provide. I joined the MPAQ Council to give a perspective from a rural background and have a say in polices that affect our awesome industry. I have been working in the plumbing industry since 2006 and am part of the team at Yes Fire, a company that conducts certifications and site audits, installations and upgrades, testing and maintenance of fire systems - in particular, fire hydrants, fire hose reels, fire pumps and fire tanks. 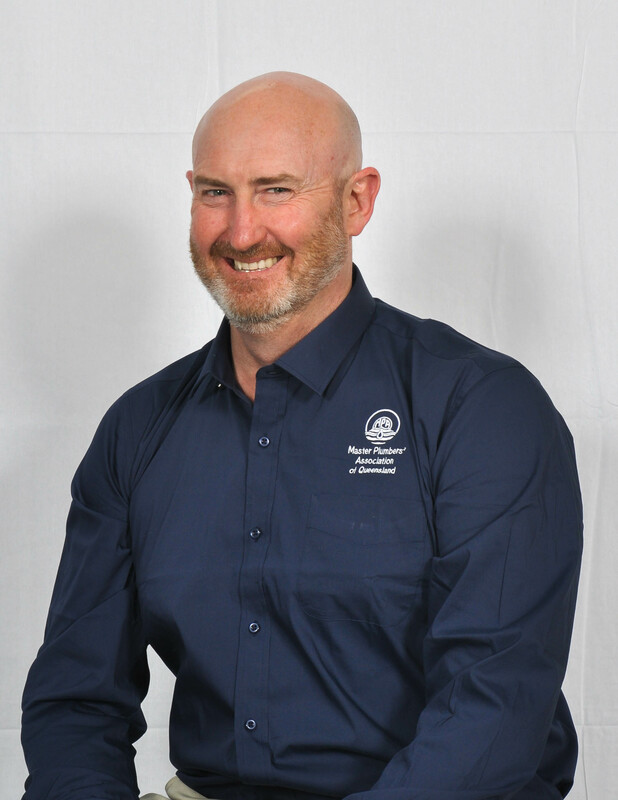 With a passion for the fire industry and for community safety, I am a member of the MPAQ and QBCC fire committees and am also proud to represent Master Plumbers’ Australia on several Australian Standards committees within the fire industry. I am happily married to my wife Steph and we live on the Gold Coast with our four beautiful kids, Mieké, Reece, Axel and Milly. I joined the MPAQ Council in 2013 and enjoy playing an active role within the association. A bit about me: After finishing school at Marist College Ashgrove in 1994, I commenced my plumbing apprenticeship in the domestic market before moving into the commercial market after being provided the opportunity to work with Beavis & Bartels. Having worked with Beavis & Bartels since, I have been extremely fortunate to have been provided the opportunity to work in all aspects of the business and to be surrounded by an excellent team of men and women who work together to deliver some of the state’s largest hydraulic projects. Outside of work my wife Liz and I have three beautiful healthy children under seven and we love to spend time as a family at the beach, riding and playing tennis. Why am I on the MPAQ Board? With Beavis & Bartels being a member of MPAQ since 1960 I have always had interactions with the Association. The Association has always supported both our business and myself in whatever challenge we have had. After only ever seeing the support from a members point of view, I thought it was time to “give back” to the Association and become a board member. I personally became a board member at MPAQ as I thought it was important to ensure the association was there to support the future members as it has been for me. Why is it important for all plumbers and gasfitters to be members of MPAQ? As a Major Contractor, the Association provides a lot of support to our business, especially the HR support and general guidance on a daily operation. Anyone interested in becoming a member, I’d strongly suggest joining based on the interactions and opportunities to collaborate with other plumbers, the peace of mind knowing you can call the Association if you have any difficulties and that general ability to lean on others in hard times. MPAQ helps to protect your business, grow as a business and are continually supporting us in every aspect of our operations. MPAQ is absolutely an invaluable part of our business and if you asked me, I’d tell you that if you’re a plumber, you need to join. I have been working in the Plumbing Industry for over 34 years, 28 of these years I have worked as an independent contractor. 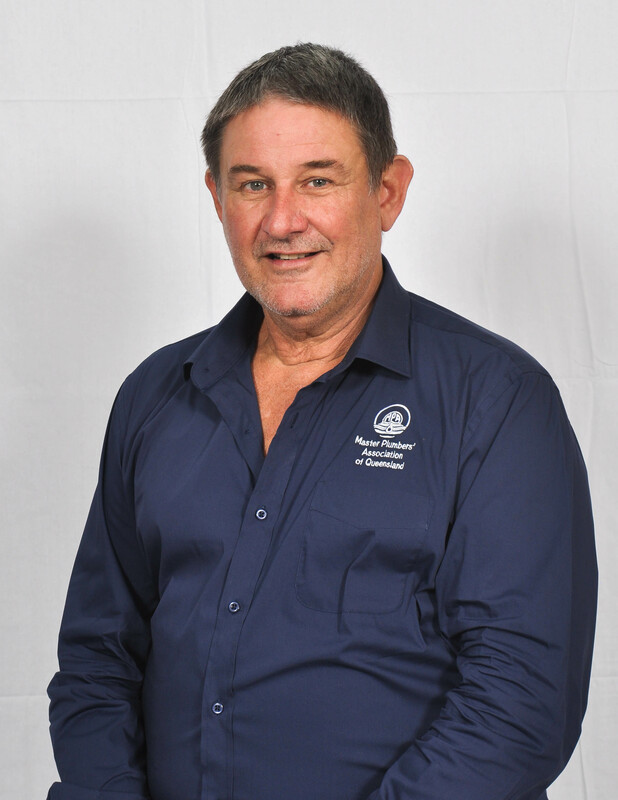 I started my Plumbing apprenticeship in 1979 and established my own business Yarrow Plumbing Services Pty Ltd in 2003. I have been a member of the MPAQ for just over 20 years now and have been a member on the council for 5 years. The advances in technology within the plumbing industry have been extraordinary and I believe that my membership with the MPAQ has allowed me to keep up to date not only with the technological changes within the plumbing industry but also with the administrative changes. I enjoy the challenges that are associated with being a Councillor of the MPAQ, together we endeavour to make positive changes within our industry on a day to day basis as it is astonishing how many non-plumbing entities try to dictate how we as an industry should function. It is the job of the MPAQ to advocate on behalf of the whole of the plumbing industry. I strongly believe that being a member of the MPAQ is a pre-requisite to having a successful plumbing business because without the advocacy of the MPAQ, there would be no Plumbing Industry, certainly not one that we would all be proud to be associated with.